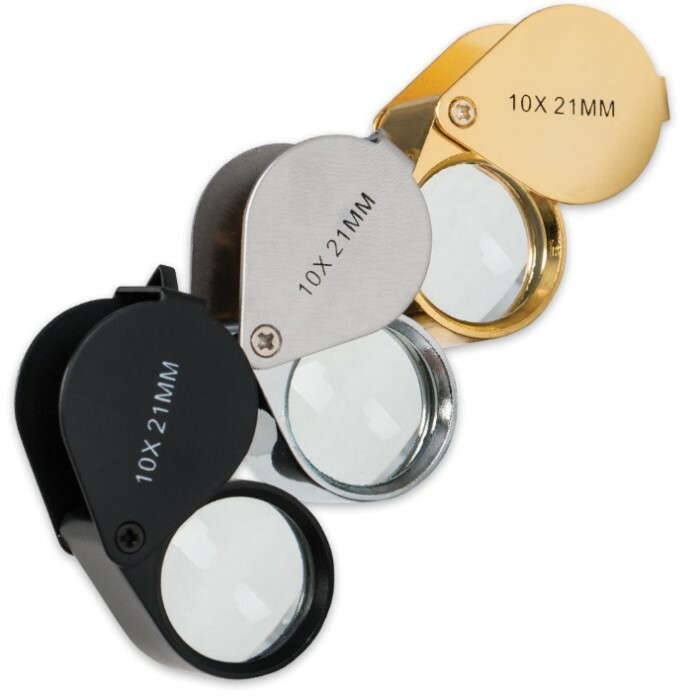 Jeweler's Loupe Three-Piece Set With Storage Cases | BUDK.com - Knives & Swords At The Lowest Prices! 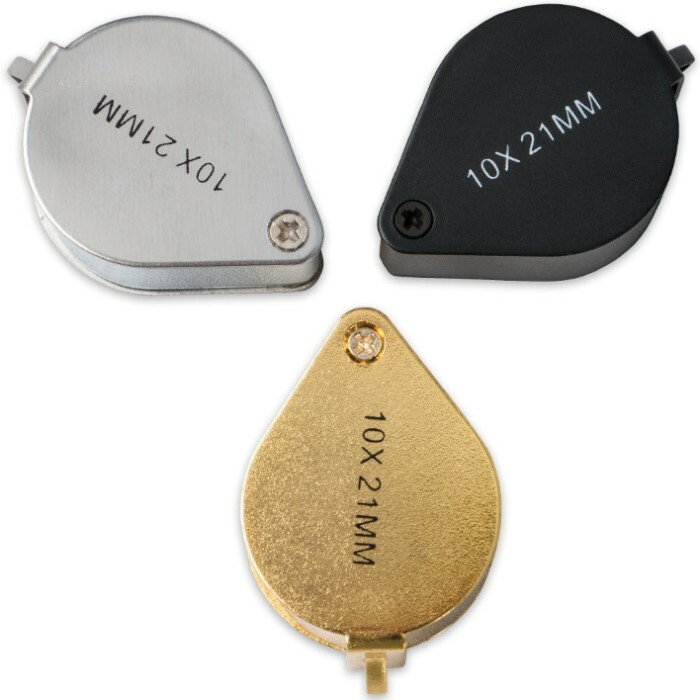 Take a closer look at your rings, pendants and loose gems with this Jeweler's Loupe Three-Piece Set! You can have one for your home, office or gear. 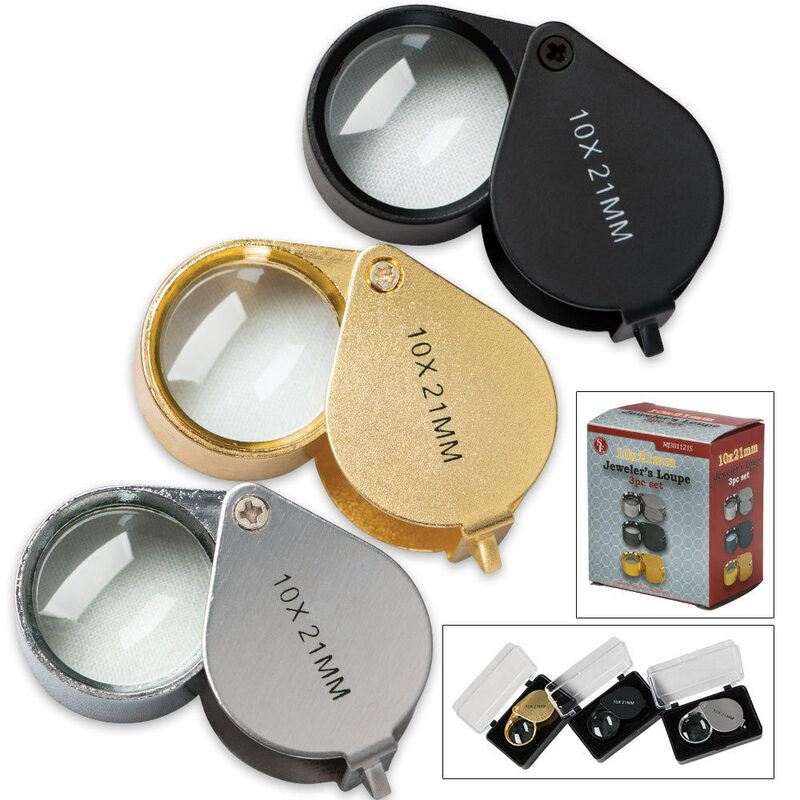 Each 21mm loupe magnifies 10x and has a glass lens and metal body. They're useful for closely inspecting jewelry before purchase, as well as, for fine repairs, crafting and more. The set includes a gold-tone, sliver-tone and black loupe, each with its own storage case. You will find endless uses for these loupes!